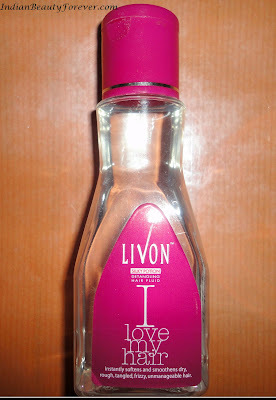 It is going to be a short review as i am sure most of us are already aware about this product which is Livon Silky potion. Ingredients- Cyclopentasiloxane, cyclotetrasiloxane, dimethiconol, tocopheryl acetate, mineral oil. Packaging- It comes in a transparent cute chic bottle with a pink flip-flop cap. 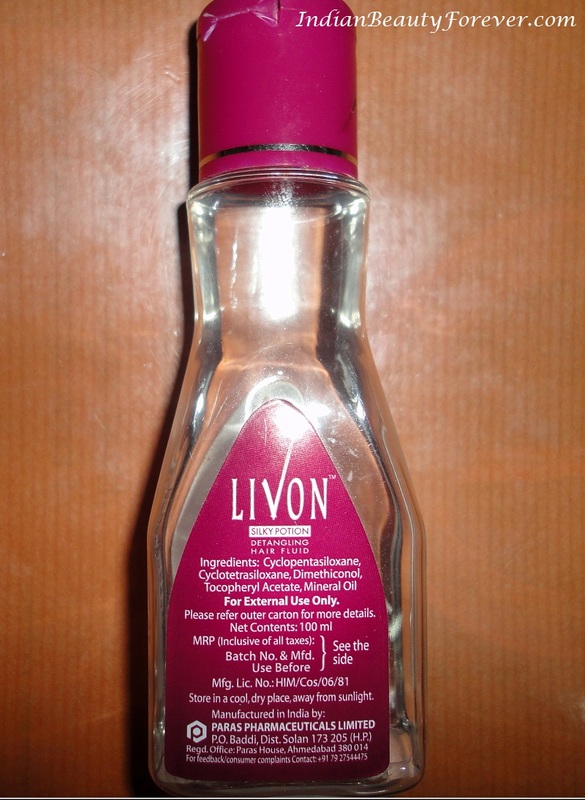 What the company claims- Livon enriched with Vitamin E and a unique CutiSoft formula, is perfect for everyone who wants perfect hair. It gently detangles hair and reduces breakage, leaving behind a shiny, protective sheath that keeps hair soft and shiny. 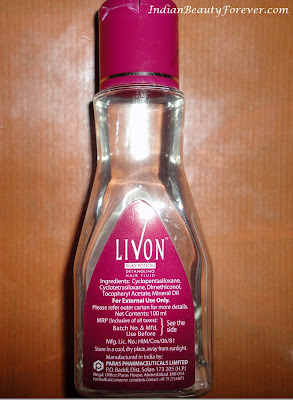 Directions to use- Damp your hair with little bit of water and then apply Livon Silky Potion on the hair. After applying the silky potion, comb as usual and let the hair air-dry. You need not wash off, its a leave-on conditioner. My Experience- I am sometimes very lazy to use conditioners or sometimes skip them in a hurry to finish up due to pending works. But then latter I had to work hard against my tangled hair. To resolve this problem I got this LIVON silky potion. 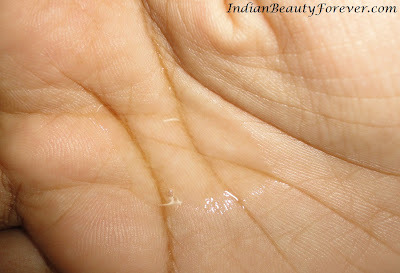 It is like a transparent fluid and is of lotion consistency. It is a little sticky in nature. As instructed I apply it on my hair when it is almost towel dried and comb them instantly. It does really helps in detangling and also I feel the hair very soft to touch. It does control the frizzy hair. It is ideal to use only on the day of hair wash. If I intent to use it daily, it make my hair sticky at least for me. And the pleasant fragrance lingers on the hair for quite a day.